ET Security is Responsive Joomla! 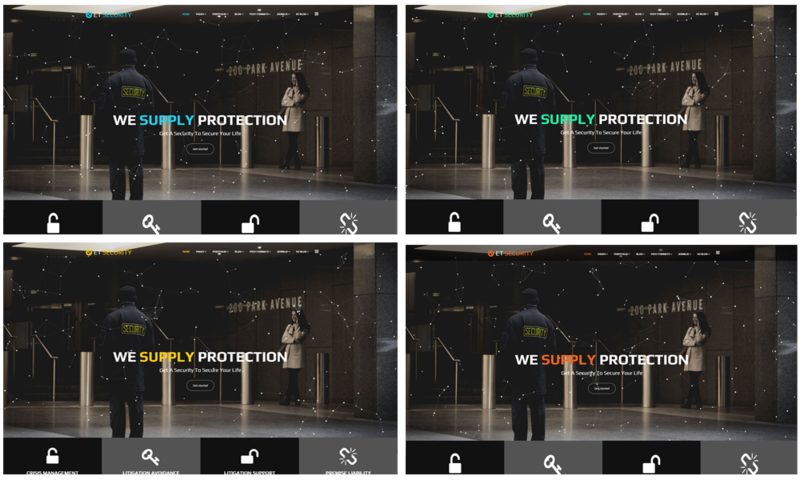 template that targets for security guard companies. Joomla Security Template comes with Page Builder for layout, Shortcode for editing content easily, Support Font Awesome, Compress files and so on. Besides, it also supports 4 color styles and working with strong framework, unlimited module positions and easy to drag-drop layout content. Your site will benefit from responsive design and cross-browser compatibility – whether your visitors are using Chrome on their PC or Safari on their iPhone, your site will work perfectly. If that’s not enough, when your visitors are on our site, they’ll be able to get around easily thanks to simple drop-down navigation. Ease of use means happy clients. 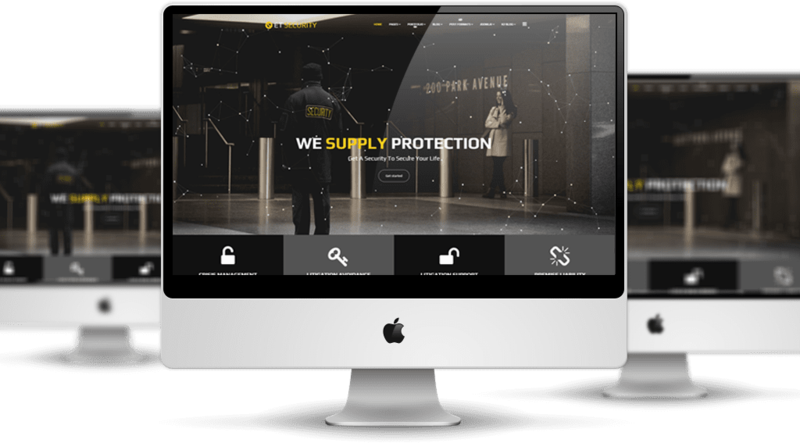 Our security website templates use basic colors and high-quality images to create a professional, clean and well-organized look. This way, clients can navigate easily through your pages and find the information they want quickly and efficiently. Regardless of the fact that you offer services or products, when it comes to security, people need to know that they can trust your company to protect them and their assets when the time comes. ET Security Website template is simple, clean looking template designed mainly for new business websites. It’s easy to custom and edit content via convenient template parameters. ET Security Website template with fully responsive layout based on Bootstrap CSS. It has special built-in design optimized for modern mobile devices iPhone, Android and Windows Mobile-based. ET Security Website template supports 4 color styles helping to create gorgeous websites with various layouts. Besides, the template comes with flexible homepage which includes boxed and full width layout. You can see demo via Template Site Tool on demo site. It’s also easy to extend color styles.